IOGEAR's Active DisplayPort to HDMI adapter is the ideal hardware solution to convert any DisplayPort output to an HDMI output. 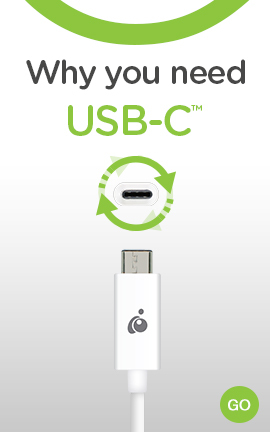 This allows you to connect your DisplayPort equipped video source (i.e. Computer, Laptop or DisplayPort Graphics Card) to a HDMI based display, projector or HDTV. The GDPHD4KA Active DisplayPort to HDMI Adapter supports the latest DisplayPort 1.2 standard for UHD (Ultra HD) video playback, with resolutions of up to 3840 x 2160. This results in the highest level of visual fidelity currently available on HDMI equipped displays on the consumer market; giving you the ability to display 4K content from your DisplayPort equipped device on the latest HDMI equipped UHD televisions, projectors and displays. The DisplayPort video standard found on all current generation DisplayPort devices support audio via the DisplayPort output. The GDPHD4KA Active DisplayPort to HDMI Adapter supports multi-channel digital audio signal pass-through, preventing the need to carry an additional audio cable when connecting to an external display with audio playback support. Active vs. Passive Adapter: Which one do I need? A passive adapter is the most basic type of DisplayPort to HDMI adapter that is available. A passive DisplayPort video adapter allows the Graphics Processing Unit (GPU) to communicate with any HDMI monitor that does not support the DisplayPort video output on the computer. In contrast, IOGEAR's Active DisplayPort to HDMI adapter will actively convert the display's HDMI signal into a DisplayPort signal for your GPU to interpret. 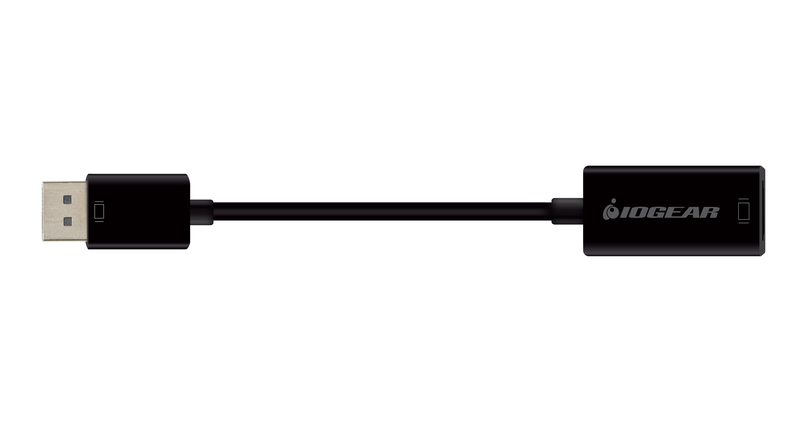 These active adapters are required when connecting more than 2 displays to a video card such as an AMD Radeon™ GPU that supports Eyefinity technology. The native DisplayPort signals are able to be recognized and controlled by the GPU, ensuring all the connected monitors are synchronized. 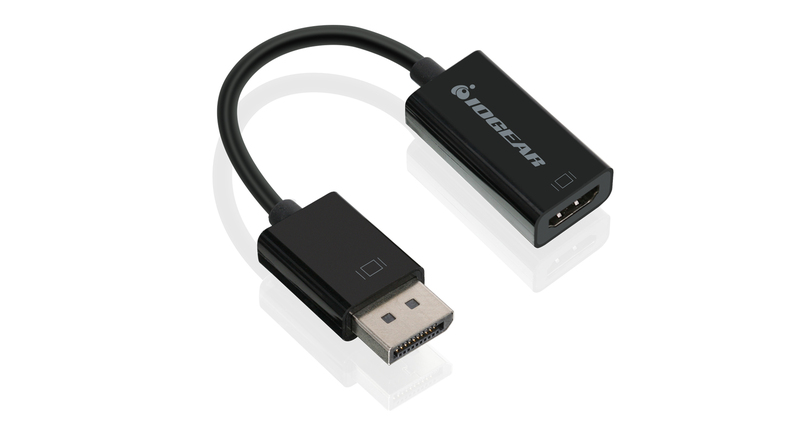 IOGEAR's DisplayPort to HDMI adapter features an extremely easy to use, plug-n-play design and requires no external power, software or drivers to be installed. Simply connect the adapter to the DisplayPort video out on your computer or laptop and connect an HDMI cable to your monitor and you are ready to go! 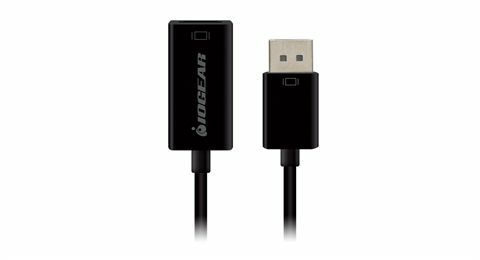 IOGEAR offers a wide selection of DisplayPort and Mini DisplayPort adapters, providing cost-effective solutions to integrate the latest technology into your existing equipment setup.